Create a relaxing spa like experience for your guest by providing luxurious. You can simulate a spa experience not only in the bathroom of your vacation rental but also in the bedroom! In this blog we will explore ways for how to make your vacation rental like a spa. There are not many things more relaxing than a nice warm bath. You can add to this for your guest by providing bath bombs or epsom salt. Epsom salt is a cheaper option than bath bombs as you can provide a jar that can be used from guest to guest, opposed to buying a new bath bomb for each guest. Ambient lighting and candles will be sure to enhance your guests relaxing vacation experience. Candles double as a form of decor as well as aromatherapy, and are sure to leave your guest feeling relaxed. Decor that further promotes a relaxing spa experience include plants or even a Himalayan salt lamp. Providing a speaker in the bathroom is a nice way to improve a guests enjoyment. Whether it’s listening to calming music in the bathtub before sleep or if it’s listening to music in the morning while getting ready for the day- a speaker will be sure to please. There are many different alarm clocks that also double as a sound soother. Having a sound soother beside for guests to use while falling asleep is a simple way to improve a guests experience. Place a diffuser on the nightside beside the bed with a few drops of essential oils and you provide your guest with an aromatherapy treat. For this option, you will simply need to purchase a diffuser and a small variety of essential oils. Lavender and peppermint are great for promoting relaxation and a great night sleep. These factors will be sure to leave your guest happy with their stay and this will mean a good review for your vacation rental. Bring your bathroom spa experience into the bedroom with a footbath! With a footbath your guest can soak and massage their feet while sitting on the couch and watching tv. Having a small water feature that both looks nice and sounds calming is a great way to make your vacation rental feel like an actual spa. You can purchase a small water feature at a very reasonable price, or invest more money in a larger more luxurious fountain. One important aspect of making your vacation rental feel like a spa is to keep your property from feeling cluttered or messy. Having a cluttered bedroom or bathroom will only add stress instead of take it away. When decorating your home, keep in mind that it is best to decorate minimally and keep a very tidy property. Provide your Airbnb cleaner with a cleaning checklist so ensure your property always gets the cleaning it needs. 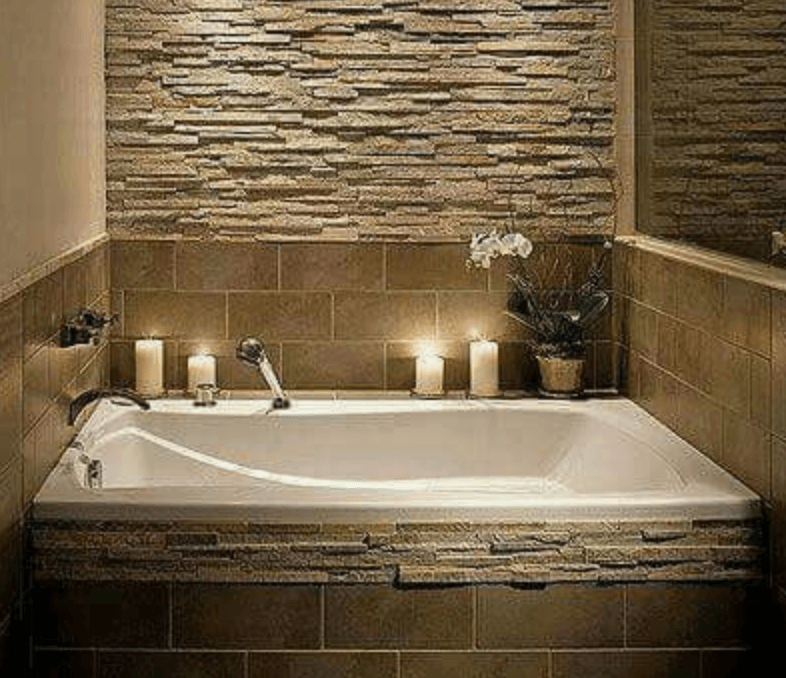 Be sure to include on this checklist that the bathtub and foot bath should be cleaned and water should be added to the diffuser and the water feature. I love how you mentioned how a diffuser can help a guest feel happy at your home, resulting in a better review. I have been looking to convert my own home to a vacation rental, and I feel as if the little things like this can all add up to make a great vacation home. I will definitely keep this in mind as I move forward! it's definitely relaxing when you go on a vacation and your accommodation includes hot baths and spa. It's a great thing that you mentioned ways on how to rental services improves their rental services by creating a spa-like a feature inside the room. if ever that I go on a vacation this year, I'll probably go to vacation rentals that has additional features like spa services.